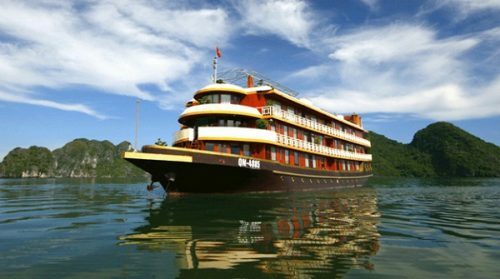 Thanks to its significance and its unique values of aesthetics, Trong Mai Islet, which is the symbol in not only Halong Bay tourism but also Vietnam travel guide books, is an appealing attraction that you should not miss when visiting Halong Bay luxury cruise. Trong Mai Islet can also be called with the name Ga Choi Islet. On your trip to Halong Bay, you are likely to soak up a different mystical world with exciting ecosystem and natural wonders. 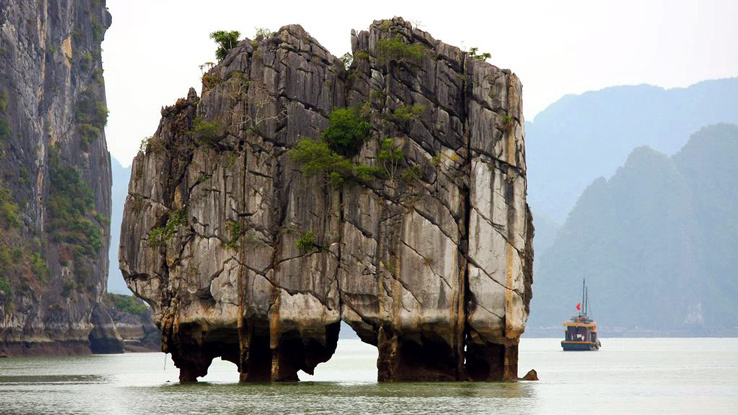 Not only being the convergence of multi-shaped rock islands and magnificent caves forming a vivid and mysterious world but also home to the important traces for the history formation and development, Halong Bay is a unique cultural heritage. 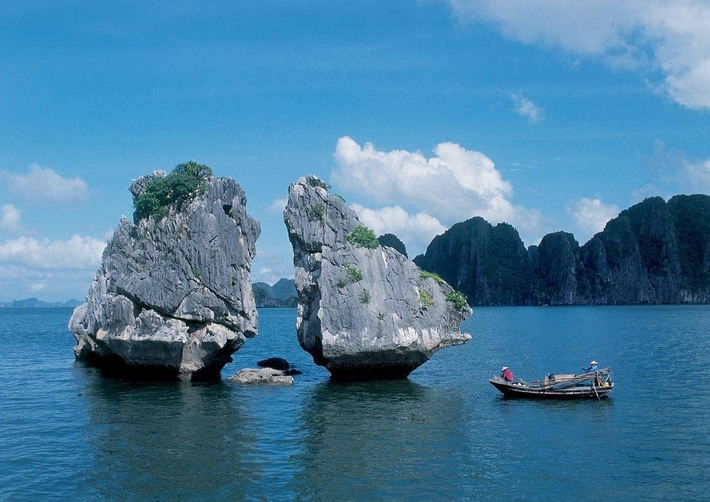 Schist islands and limestone islands, which mainly concentrate in the Bay’s western and eastern areas, are the two major types that Halong Bay features. Here, you can even see numerous spectacular shape islands, created from 250 million years ago with more than 200 meters high. Islands and islets through the process of bobbing up and down create amazing shape thanks to the rise and fall of the continental shelf. The image of stacked rocks in this bay can be easily recognized, for example, with its height of more than 9 meters, Toad Islet looks like a toad squatting on turquoise blue sea. Some is the convergence of the reflection from the water and imposing solid walls with wild moss creating the impressive scenery that you cannot find elsewhere. At the height of more than ten meters two burly giant chickens amazingly appear over vast waves from the surface of waters. Actually a masterpiece of the nature in vast waters is what protrudes posture on the tiny foot. It feels like that at any time, the whole heavy rock can be stroken down with just a gust of strong waves. However, Trong Mai Islet has been standing here for such a long time. The islet has become inspiration for the works of so many artists on poetry, painting and photography to exploit and describe the unparalleled beauty of whole bay thanks to the extraordinary values in terms of art and significance. Moreover, Trong Mai Islet, which has become a symbol of love demonstrating the vitality and its significance, is also used by Vietnamese artisans of handicraft workshops to create many high aesthetic fine artworks. 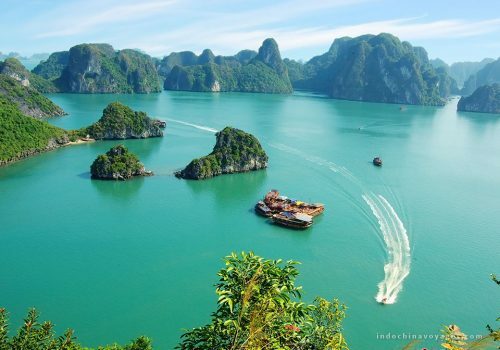 Simultaneously, the image of Halong tourism in particular and Vietnam’s in general has been promoted worldwide through these kinds of small products. 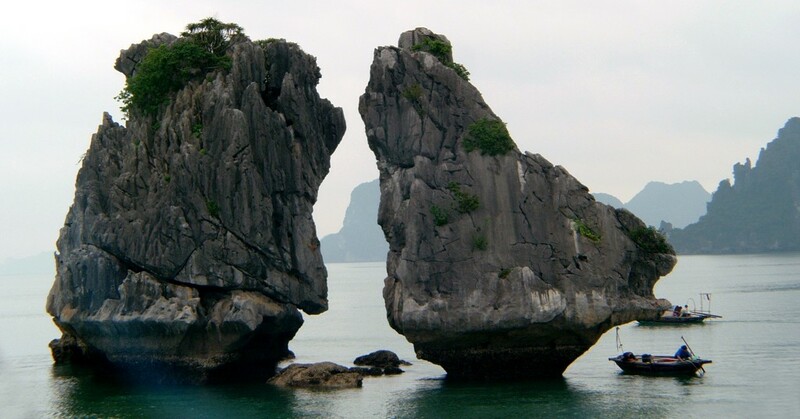 Situated in the southwest of Dau Go Island (about 6 kilometers from Bai Chay Tourist Wharf), found on the way to Titop Beach and Thien Cung Cave, Dinh Huong Islet (Incense Burner Islet), which is also called Lu Huong Islet, is one of Halong Bay’s attractions. This islet includes only one enormous stone in the image of an incense burner, whose four below pins are only visible when the tide gets low. 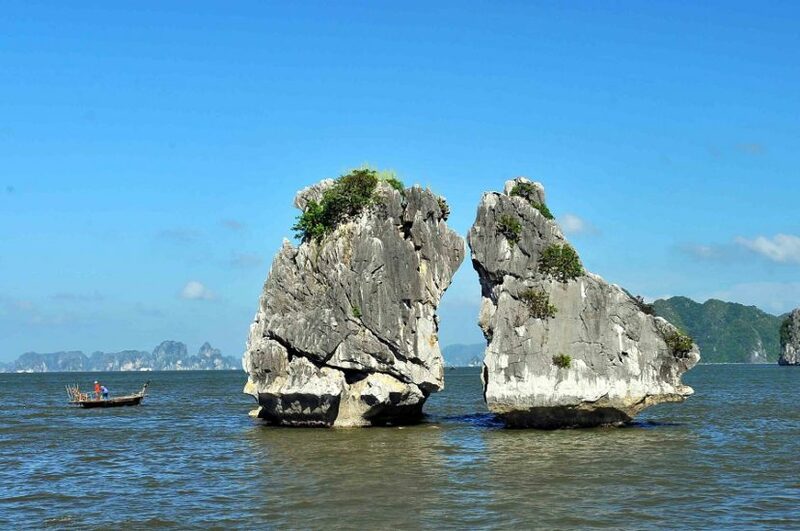 Passing the Con Meo (Cat) Islet and the Cho Da (Stone Dog) Islet, you will see a majestic stone slab placing on these two other petit stone – stands blocked the way. This stone slab looks like a huge incense burner, which seems to be a holy object to worship the Earth and Sky lying in the sea center. Dinh Huong Islet, in the great setting of islands and sea, appears as a holy symbol dedicated to Vietnamese national heroes who sacrificed their life to protect our country.